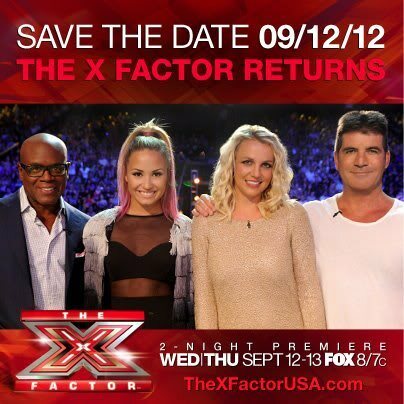 Fox has announced that the new season of X Factor USA will launch on September 12, 2012. As previously announced Paula Abdul and Nicole Schezniger are gone this season and have been replaced by Britney Spears and actress and songwriter Demi Lovato. 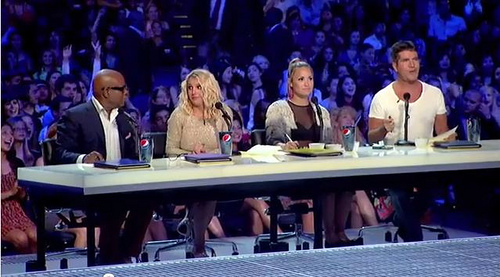 Nicole Schezniger howevere has joined teh UK X Factor. The premiere will take place on two night on 9/12 and 9/13 at 8:00pm (7:00pm Central).